A Champions League group on paper and in reality are two different things. Spurs found this out in 2010 when they came up up against Inter Milan in Group A. In theory they were facing the treble winning and reigning defending champions. A squad which largely remained intact following its historic trophy-laden season, boasting some of the most gifted players in Europe. In reality Inter were suffering a typically severe, post-Mourinho hangover, under Rafael Benítez. The squad was ageing, void of motivation, and there for the taking. Spurs romped past them at White Hart Lane, courtesy of an outstanding display by Gareth Bale, and won the group. It would be wrong to say they beat the same team that won the Champions League a year before. As good as it may have sounded to Spurs fans bragging to their mates at work the next day. In Group B where Spurs will come up against: Barcelona, PSV and Inter Milan it is especially important to judge each club’s credentials on a season by season basis. The Champions League for Barcelona is of paramount importance as rivals Real Madrid have cemented their place as the number one side in the competition’s history in recent years. With Dembele and Coutinho further establishing themselves at the club – and after a perfect start to their league campaign – there is a quiet confidence in this squad as one of the most balanced and capable since the Guardiola era. Facing Messi and co. is what English football’s fetishisation of a top four finish is all about - and after their exploits against Real Madrid a year ago - an in-form Spurs side should have nothing to fear. As ever, Barcelona will be strong favourites to win the group, and among the contenders to lift the trophy at the Wanda Metropolitano in June. A tough draw for relative minnows and the reigning Eredivisie champions who beat BATE Borisov 6-2 on aggregate to qualify for the group stages. Under the guidance of new manager Marco Van Bommel and with a Europa League place being awarded for a third place finish, they are not to be taken lightly. 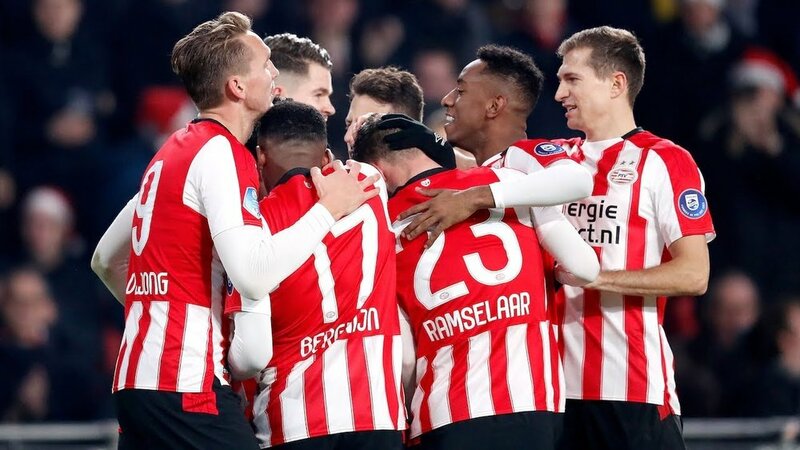 So far this season PSV’s young squad has four wins from four as they look to win their fourth Dutch title in five years. The last time Spurs faced PSV in a European competition was in the Europa League on March 12, 2008. After thirteen penalties had been taken, Pascal Chimbonda stepped up with the score at 6-5 to PSV. The penalty rolled wide of the right hand post as one Heurelho Gomes dived to the left. Juande Ramos’ Spurs crashed out as PSV progressed to the quarter-final. This time around Spurs will be expecting a very different outcome. There is a question mark over Inter Milan coming into Group B. Are they a team representative of the fall from grace of Italian football, being poorly run by an incompetent hierarchy? Or are they a part of the resurgence in Serie A which saw Juventus, Napoli and Roma all make an impression on the competition last year. Inter Milan qualified after finishing fourth in Serie A, ahead of Lazio. Although Lazio had a superior goal difference, Inter’s head to head record in their league fixtures saw them secure Champions League football. With Mauro Icardi and Lauturo Martinez leading the line, supported by Ivan Perisic and Radja Nainnggolan, there is strong reason to believe this Inter side is a part of the resurgence. As Spurs’ biggest rivals for a second place, the trip to the San Siro to open their campaign could be a pivotal game in deciding their fate in Group B. It will also offer fans with fewer loyalty points the opportunity to go away in the Champions League as it is Spurs fans fourth visit to the San Siro since they first qualified for the competition back in 2010.